Russian Timber Journal №01-2019: summed up the first results of the LPK for 2018; basic prices for round wood and lumber; prices for the products of LPK in Russia for 2017-2018; exchange rates to the US dollar from 2010 to January 2019; Valentina Matvienko put ” bad ” eight-year work of the head of Rosleskhoz; for 11 months. 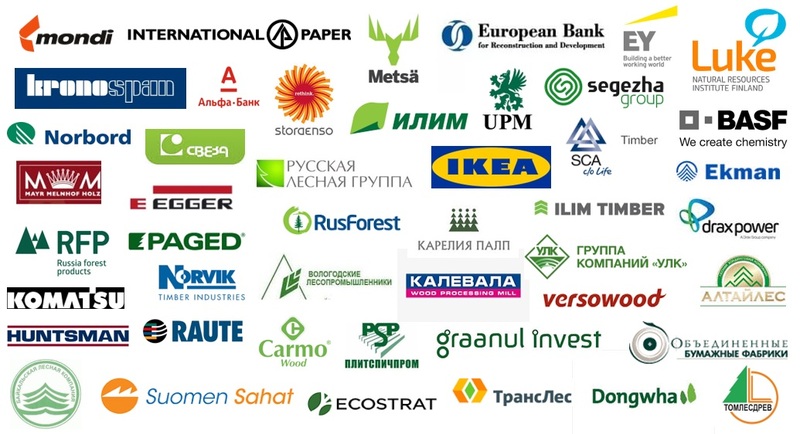 2018 Germany increased exports of kitchen furniture; Ukraine switched to European standards of classification of wood; created the Chinese-European Committee on forest industry; “Solikamskbumprom” took a loan of 27 million euros; Segezha Group has completed the design of a new pulp and paper mill in the Krasnoyarsk region; a pellet production plant with a capacity of 100 tons/month has been launched in the Smolensk region. At the 450th meeting of the Federation Council (FC), which was held on January 16, 2019, Valentina Matviyenko, the Chairman of the Federation Council, criticized the work of Ivan Valentik, Head of Federal Forestry Agency (Rosleskhoz). According to Valentina Matviyenko, for eight years of Mr. Valentik’s work, nothing could prevent him from “putting things in order, analyzing [the existing problems in the industry] and taking measures”: making changes to the Forest Code, increasing the number of forest ranger officers, providing for options for increasing wages of the forest sector employees. Also in the new issue of Russian Timber Journal 01-2019 presents other current news and prices for wood products and pulp and paper mill in Russia for 4Q 2017-2018. 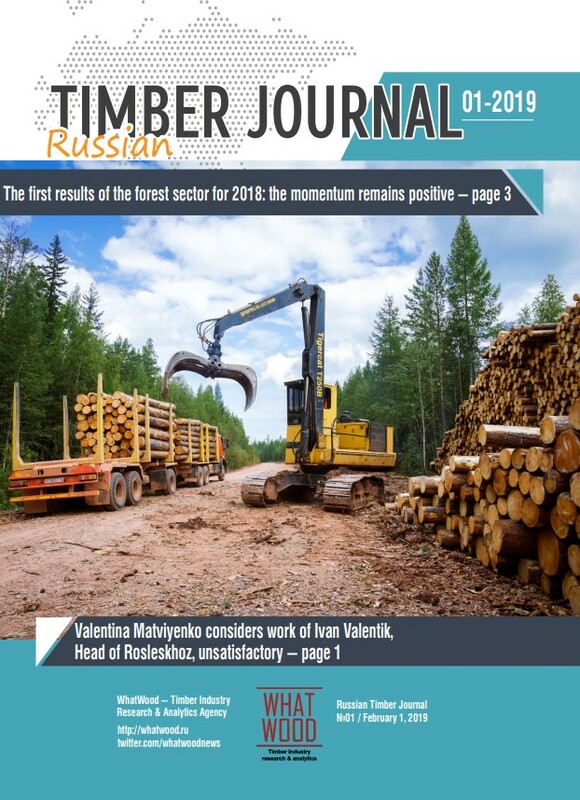 To subscribe to the information and analytical magazine Russian Timber Journal, follow the link – http://whatwood.ru/tovary/russian-timber-journal/ and fill out the proposed form.